Did you know that they make an epilators for men? It was inevitable in that men have just as much need to remove unwanted hair as women. It is important to note that epilators for men are not really designed to be used on the face. The reason for this is that the hair on your face is course; pulling this out with an epilator will be likely to leave you with a large number of sores and potential a lot of blood! However, the epilator is an excellent choice for anything from the neck down! You can use it on your chest, back, legs and even your most intimate areas; if you are brave enough! Why Would you Choose to Epilate? For most men shaving is the norm; although a few dedicated men are happy to pay for waxing. Unfortunately, whilst shaving is fairly quick and easy to do, you will have itchy stubble within twenty four hours and you can often develop stubble rash. In contrast an epilator can remove the hair and leave you hair free for up to four weeks! If you add up the time you spend shaving this can make a substantial difference! An epilator will also remove the root of your hair in the same way that waxing does; but it can be done in private at home and will be far cheaper than waxing in the long run! 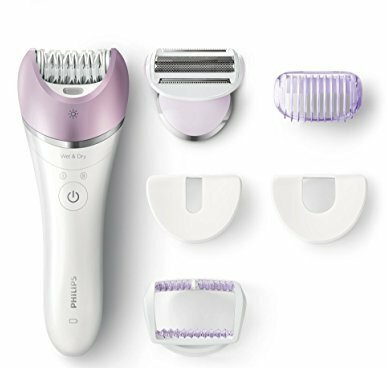 The epilator has a spinning head with small pieces of metal set like tweezers; every time the head rotates the metal is closed together. This pinches anything in its grasp, such as a hair; then pulls it from your body. There are different mechanisms available but the principle is the same. There are fewer men’s epilators available on the market than women’s. This is because, until recently, epilators have been seen as a thing for women. However, manufacturers are now waking up to the fact that men like smooth skin as well! Men’s epilators tend to include a shaving and trimming attachment, women’s ones do not. This is important as your hair may need to be trimmed to be the right size to be effectively plucked by the epilator. You can also choose to use these on parts of your body you want to keep tidy but not completely hair free; yet! Men’s plates are generally made from metal, not plastic. This is because men generally have coarser hair and need the more robust pulling mechanism. You can also put the head in the fridge to cool the plates before use; helping to soothe the skin as you pull! Epilators designed for men tend to look more many. This does not affect how they work but may affect how you feel when holding and using it! The fact that this is available in black emphasizes that it is designed for men. It is slightly larger than Emjoi’s women’s offering; designed for men’s larger hands. It has 72 tweezers, dual speed and is corded. This should give any user enough control over the process. The Emjoi is described as the first epilator for men on the market, it has certainly received positive reviews and the flexible head helps it to cover all parts of your body effectively. This epilator does look as though it was designed for women although it is marketed for both sexes. It features a pivoting head and a light to ensure you remove every hair from every part of your body; if you can reach it! 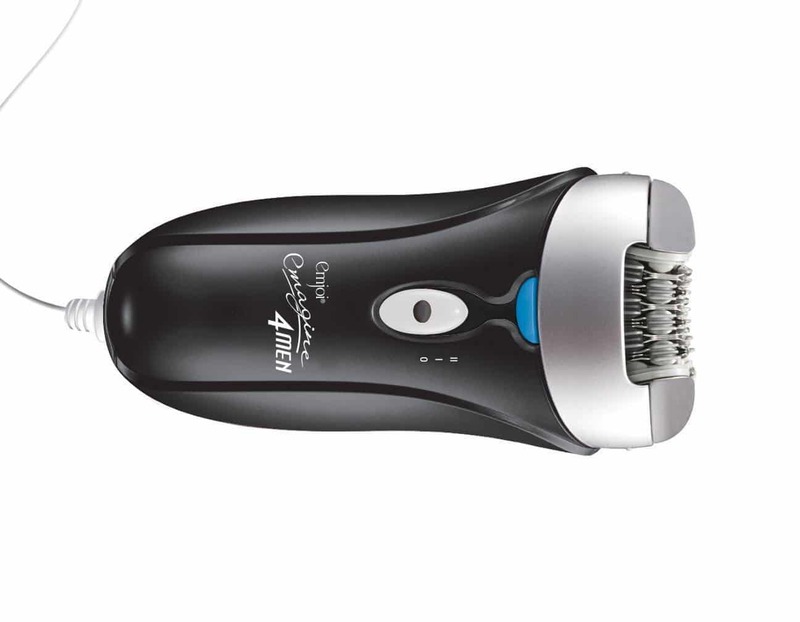 The machine also incorporates a high speed massager which helps to reduce the pain of your hairs being plucked! This is a compact but stylish device which has been one of the best selling epilators for an extended period of time. It is an excellent choice for anyone new to the world of epilation because it has fewer tweezers than most models. This means you may need to make more than one pass but the pain of using it will be less. You can choose the Satin perfect, also made by Philips; if you are ready for something a little more powerful. The Emjoi is designed as a men’s epilator so must be considered the premium brand. 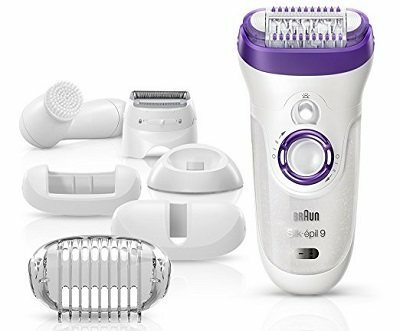 However the offerings from Braun and Philips are also excellent choices; providing you can look past the more feminine appearance. It is worth noting, that do matter what anyone says, epilating is painful. It does get easier the more that you do it but proceed with caution on your first attempt! The Best Epilators – A Surprising Buyers Guide!